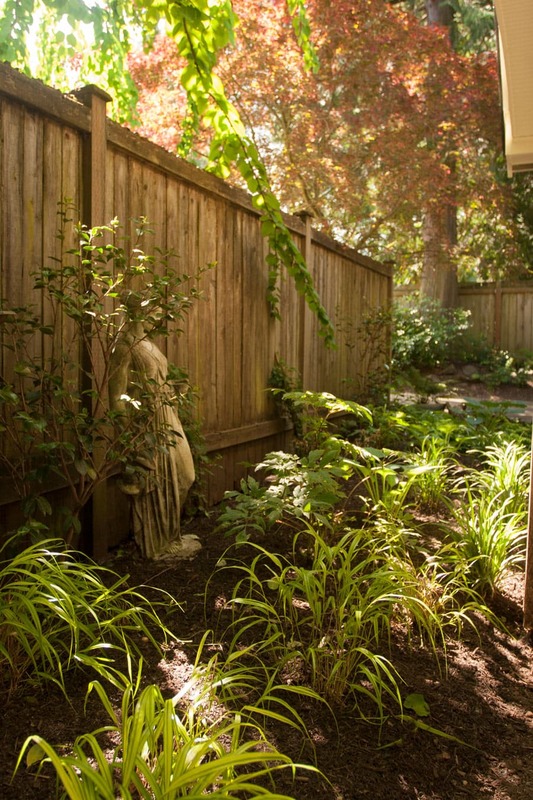 The clients wanted a serene garden space to welcome them home each day. 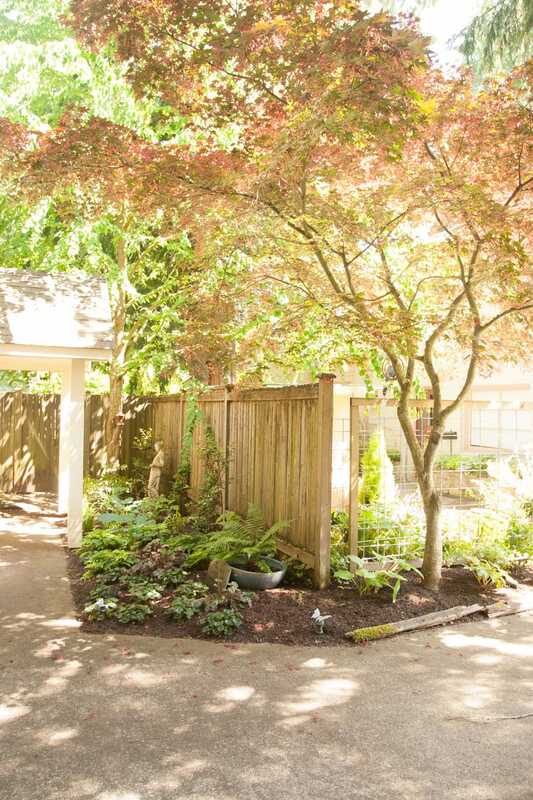 We designed this mini-garden beneath a maple tree. 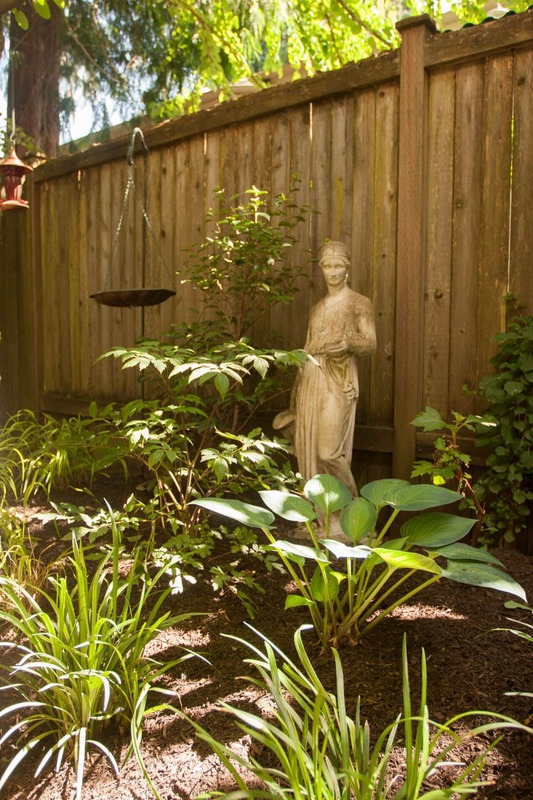 Hostas, ferns, camellias and wild ginger surround their lovely statue.